Build your wardrobe with the latest fashion styles found only from Burda patterns. 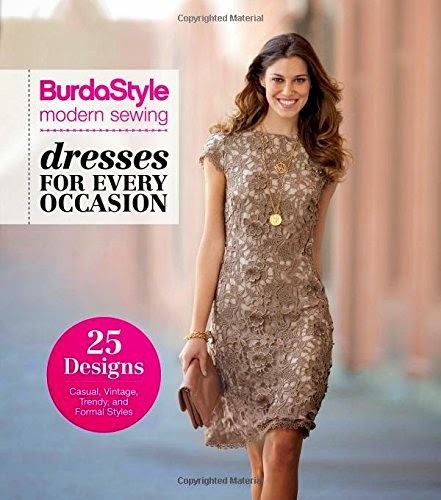 BurdaStyle Modern Sewing: Dresses for Every Occasion includes 25 projects from the archives of BurdaStyle magazine. All of the must-have essentials of a woman's dress wardrobe are covered in this collection: everything from elegant and sophisticated dresses to casual and comfortable shifts. The fashion styles are versatile and wearable, including flirty halter tops, easygoing pullover styles, retro-remakes, and formfitting classics. The Burda patterns also include skirt and jacket separates for formal occasions that further expand the possibilities for the modern woman's wardrobe. Several of the projects include illustrated step-by-step tutorials. With a few exceptions, all of the projects are easy to intermediate, and sizes range from 2 to 14. Although this book is not meant to be a primer on sewing, it includes a Burda 101 section that covers everything the reader needs to know to follow the patterns.